Abraham Benjamin “AB” de Villiers (born 17 February 1984) is a South African cricketer who captains the South African Test and One Day International (ODI) teams, who holds a plethora of batting records. He is widely considered as one of the best batsman of this era,in the world and is one of the greatest ever to have played the sport. He made his international debut in a Test match against England in 2004 and first played a ODI in early 2005. His debut in Twenty20 International cricket came in 2006. As of 2016, he has passed 8,000 runs in both Test and ODI cricket and has a Batting average of over fifty in both forms of the game. He began his career as a wicketkeeper-batsman but later played most often, purely as a batsman. His ability to hit the same ball to various corners of the ground, garnered him the tag Mr. 360 and Superman. 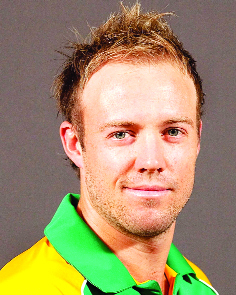 De Villiers is a right-handed batsman, who has accumulated many runs in Tests including 21 centuries and 36 fifties. He holds the records for the fastest 50 (16 balls), 100 (31 balls) and 150 (64 balls) of all time in One Day Internationals by any batsmen, and also holds the fastest hundred by a South African in Tests and the fastest 50 by South African in T20Is. He is the three time ICC ODI player of the year having won the award in 2010, 2014 & 2015. He made his test debut as a 20-year-old on 16 December 2004 against England at Port Elizabeth. 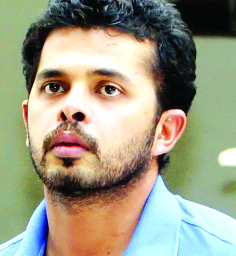 In 2009, he was nominated for ICC Cricketer of the year and ICC Test Player of the year. 1. Who lifted Gho Brahmana Kesari Dangal title? 2. How many footballers have been selected from J&K for Uttarakhand Super League? 3. Which team lifted 19th NDS Memorial T20 Cricket Tournament Cup? 4. Who clinched Power-Man title during State Bench-Press Power Lifting Championship? 5. Who has been selected to lead India’s test squad for Zimbabwe? 1. Harshit Gupta of KC International School 2. KC Public School 3. Rising Pune Supergiants 4. JP World School 5. PR Sreejesh. The best entry of this week was received from Sanjay Dhar of Upper Laxmi Nagar, Sarwal, Jammu. The other entries of the week were from Sunil Sharma of Roop Nagar, Muskaan of Bakshi Nagar, Kuldeep Khajuria of Bishnah, Mohammad Qasim of Bhatindi and Yash Khajuria of Airport Road, Satwari and Manoj Shrivastav of Bantalab.